2018 election • Democratic councilwoman enters race that is expected to feature incumbent's eighth-term run. Salt Lake County Councilwoman Jenny Wilson launches a Senate bid, hoping to take on Sen. Orrin Hatch in 2018. 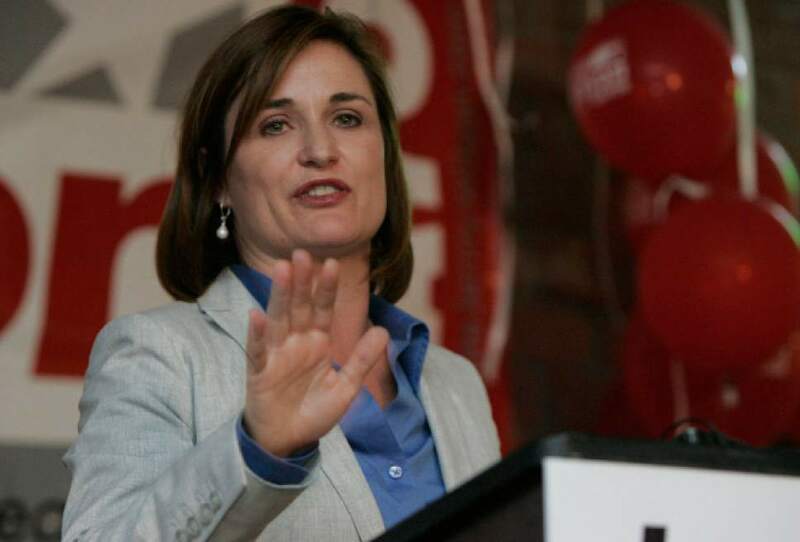 Washington • Salt Lake County Councilwoman Jenny Wilson on Monday officially launched her bid for the U.S. Senate seat up next year, saying she wants to bring actual change to Washington. Wilson, a Democrat, says she hopes to challenge Sen. Orrin Hatch, a Republican who has said he intends to seek an eighth term. "Over the past few months, I have been overwhelmed by the encouragement to run by Utahns who are desperate for change in Washington," Wilson said in a statement. "They are tired of the bickering and recognize the bipartisan successes I have had working locally." Wilson, the daughter of former three-term Salt Lake City Mayor and one-time Hatch challenger Ted Wilson, is in her second six-year term on the County Council and formerly served as chief of staff to the late Rep. Bill Orton, D-Utah. "I look forward to meeting Utahns in all 29 counties and doing something Orrin Hatch has not done in a long time: listening to the concerns of Utahns and making sure their voices are heard loud and clear," Wilson said. Hatch said in 2012 he was making his final run for the Senate, though he has since walked that back, saying that President Donald Trump, fellow senators and supporters are urging him to seek re-election since he is chairman of the Senate Finance Committee and in a strong position to help Utah and rework the U.S. tax code. Hatch&apos;s spokesman Matt Whitlock said Monday that Hatch hasn&apos;t officially declared whether he&apos;s running. "Sen. Hatch&apos;s leadership role puts him at the center of the most critical debates in Washington, including health care and tax reform," Whitlock said. "With all the problems Utahns sent him here to solve, the 2018 election cycle has not been top of mind. While he intends to run, he has not yet reached a final decision and hopes to by the end of the year. But should the senator decide to run, he will win." And Hatch has a large campaign kitty waiting should he make another bid. He raised more than a million dollars in the past quarter and has $4.1 million cash on hand. Wilson&apos;s campaign says 727 people have donated a total of $139,328 to her bid. In 1982, Ted Wilson ran the most competitive race of any Democrat since Hatch narrowly defeated three-term Sen. Ted Moss in 1976, but Wilson still lost by a landslide: 57 percent to 41 percent. A Salt Lake Tribune-Hinckley Institute of Politics poll conducted in January found that 78 percent of Utahns  nearly 8 of 10 voters  opposed another bid by Hatch.